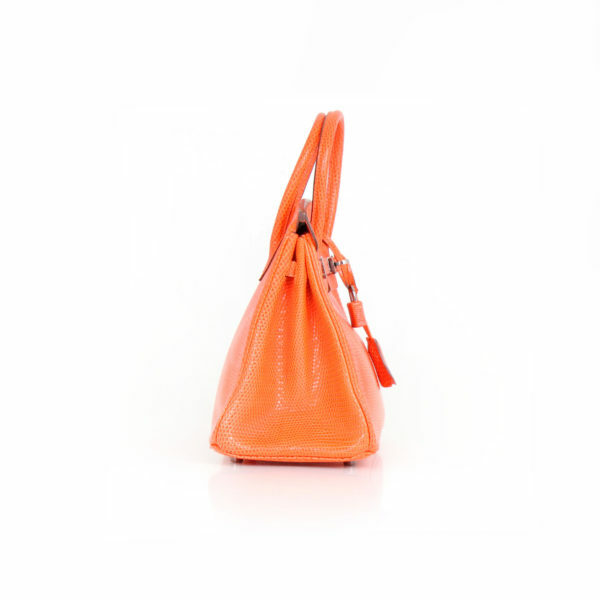 Stunning and delicate bag. 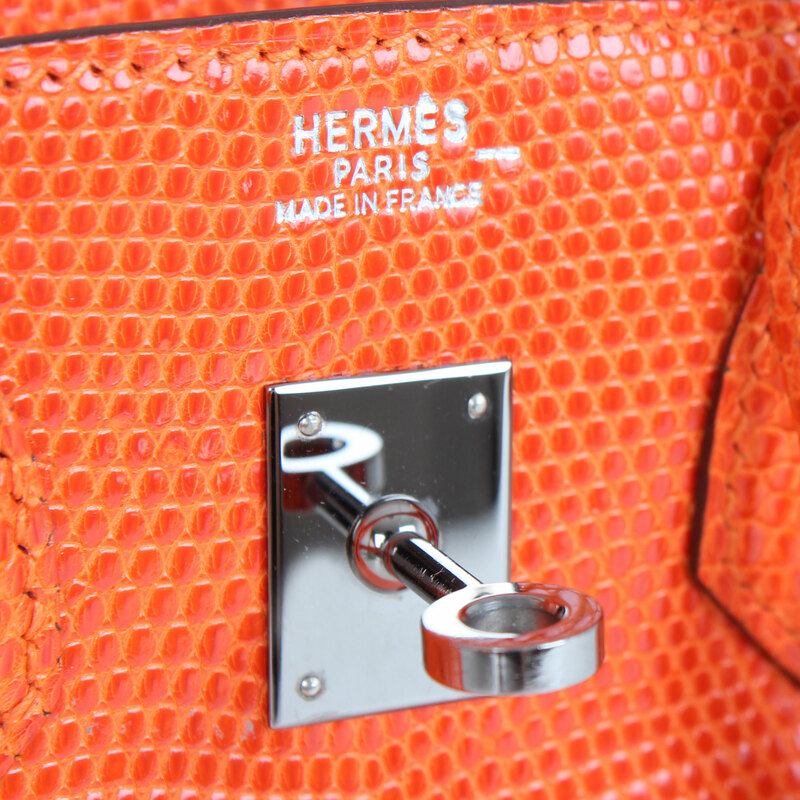 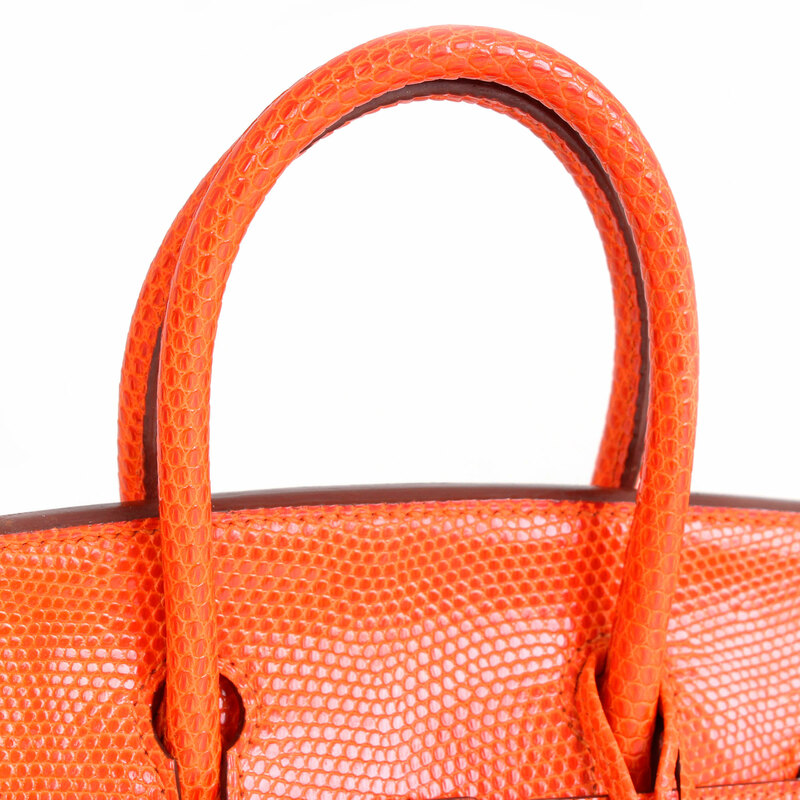 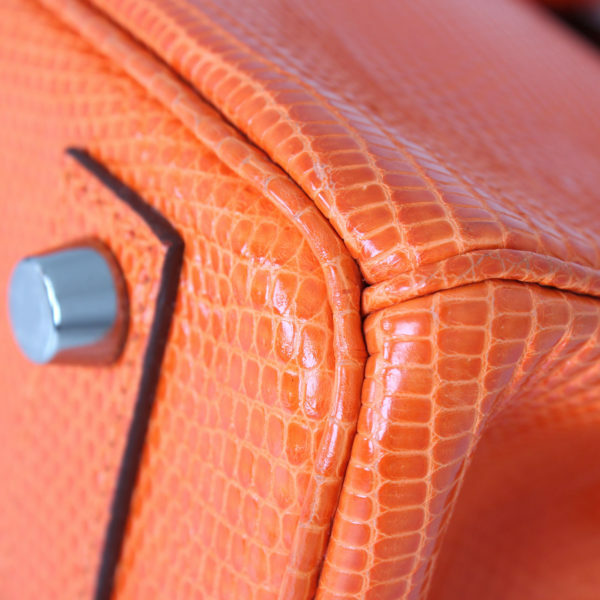 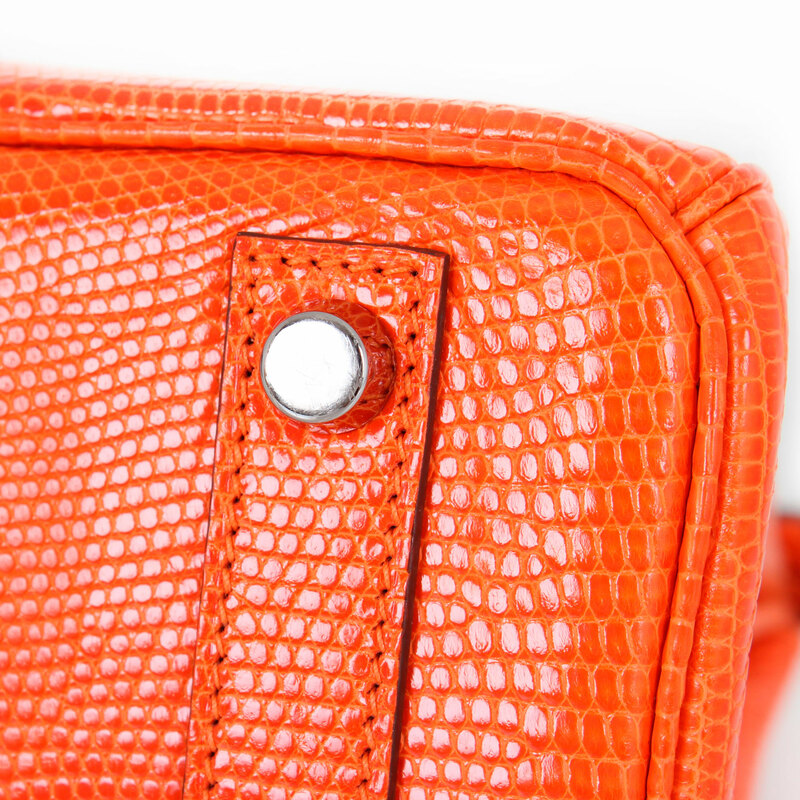 Combining ruthenium hardware and a vibrant orange lizard skin, this Hermes bag is a must-have to any fashionist! 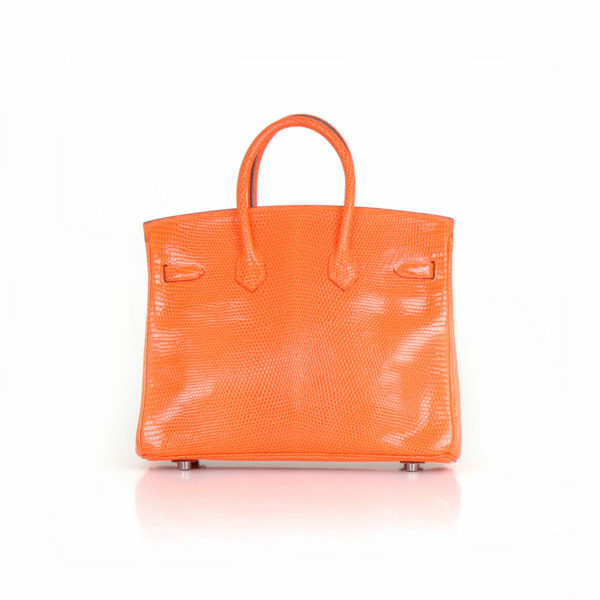 Color blast! 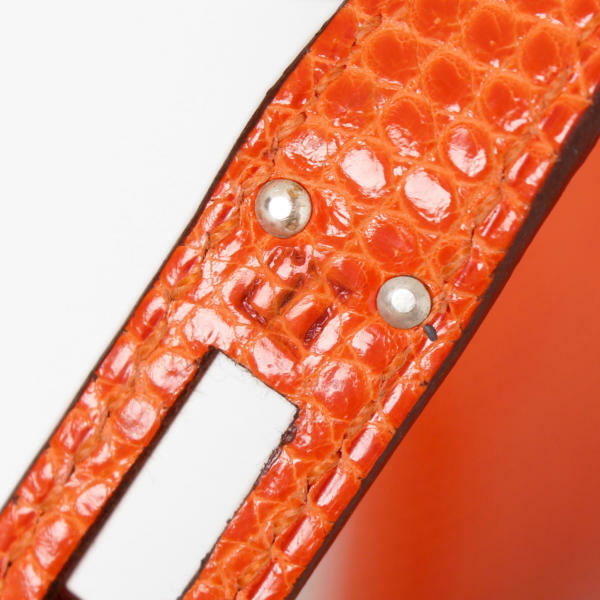 In this opportunity Hermès redefine the classic Birkin 25 crafting it with vibrant orange lizard and ruthenium hardware. 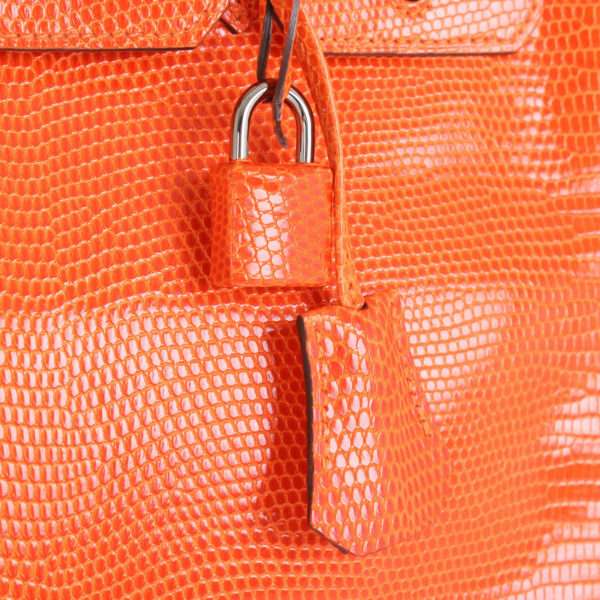 Of course, this elegant and colorful handbag has the classic birkin characteristics; double handle, divided front flap and front buckle closure; clochette, padlock and keys. 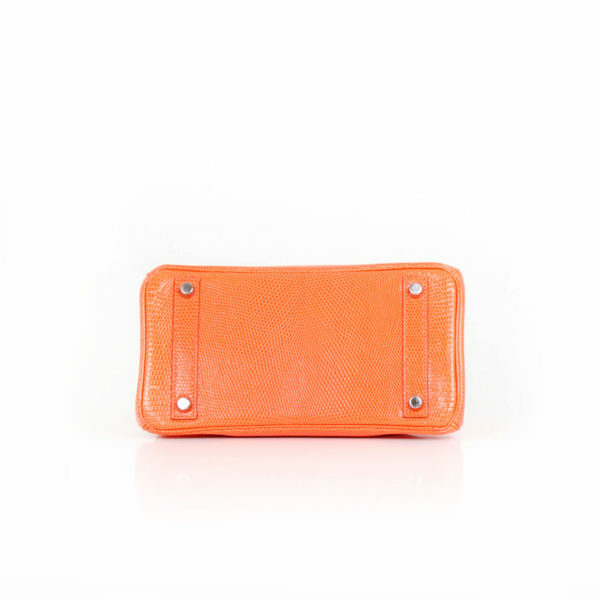 The interior is lined with orange goat skin. 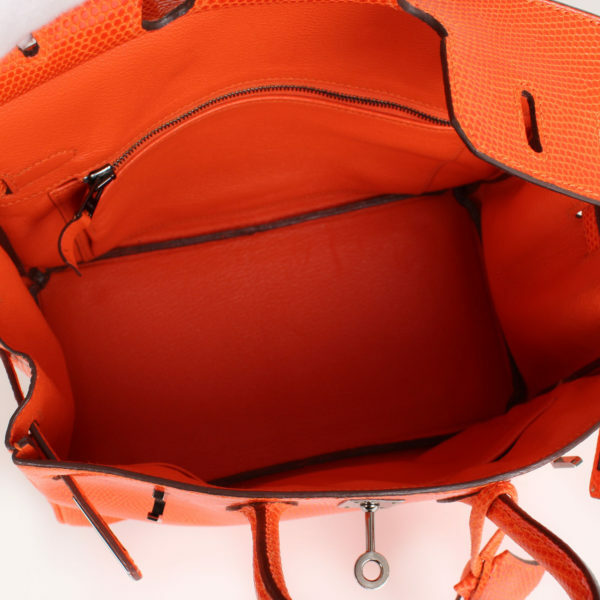 It features two pockets; one closes with zipper. Classy and vibrant in the most coveted measure, this Birkin 25 is a treasure for any fashionista.